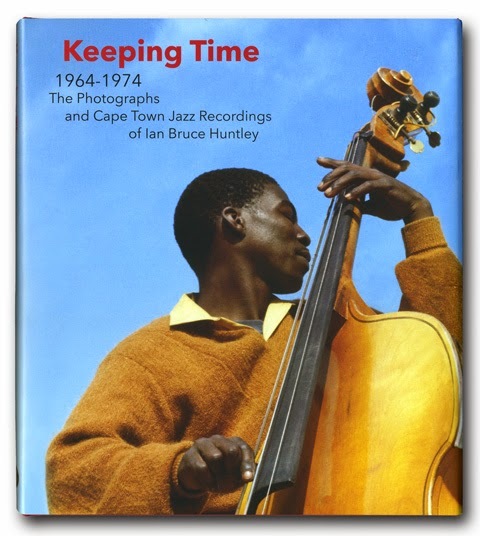 This post comes to you on the fly from OR Tambo Airport in Johannesburg and because of that it will have to be short! 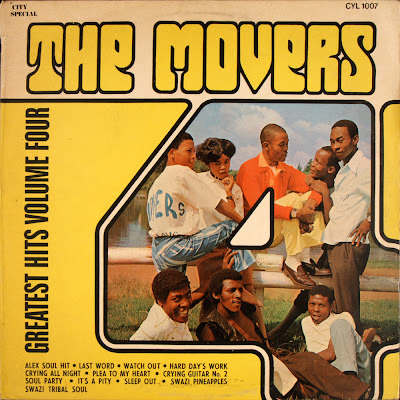 But then again what more could be said about the funky soul sounds of The Movers who have been featured on Electric Jive at least five times in the last year. 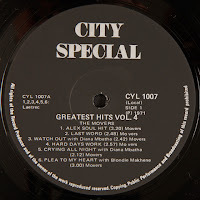 Today we focus on their fourth album Greatest Hits Volume 4 issued in 1971 on Teal's City Special label. View their other albums on Electric Jive including Greatest Hits Vol.2 (1970), Repeat After Me (1974), Bump Jive (1975), Bump Jive 6 (1975) and on the compilation Tower Special (1975). 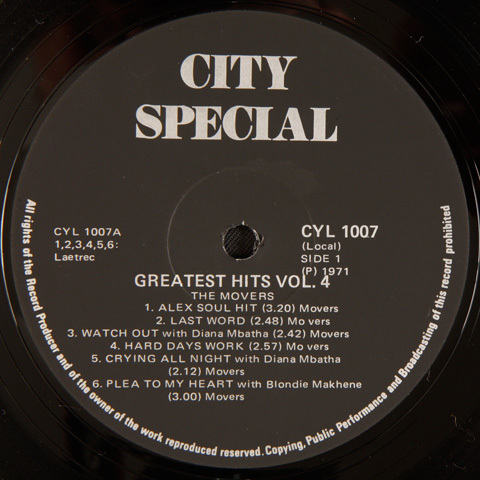 Does anyone have a rip of Greatest Hits Volume 3? Would love to hear it. But where can we download it? No longer available on both sites. Hi Siemon. Can you please upload to Mediafire? Thanks.